Michael Myers always comes back. Halloween screenwriter Danny McBride revealed to Deadline that talks for a sequel to the David Gordon Green-directed horror flick are already underway. He told the outlet that he's currently in the process of landing on a concrete idea for the follow-up, with the bigwigs at Universal Pictures and Blumhouse Productions having tasked him, Green, and fellow co-writer Jeff Fradley to work out the details. "We definitely have ideas of what we would do. I think we did not allow ourselves to really indulge those ideas until the movie came out. We just wanted to put all our hopes and dreams in having this film stick the landing. But we do have thoughts and ideas of what we could possibly do," McBride shared. "We hadn't invested a ton of time on them, but now we're being asked to figure it out. There are definitely talks on whether we will do more of them and we're just trying to see what best makes sense." McBride's comments come just a few weeks after sources indicated to Bloody Disgusting that another Halloween film was in the works — without McBride or Green on board. Anonymous insiders reported that an "unknown writer" was already developing the project, but it looks like that claim was either completely false or things changed in a drastic way behind closed doors. Just before McBride and Green originally pitched the premise for Halloween, they considered offering up an idea for a sequel film that was meant to be shot immediately following the one released earlier this month — a shooting structure reminiscent of Marvel's Avengers: Infinity War and Avengers 4, which were filmed one right after the other. The creative pair eventually decided to pump the brakes and wait to see how the first new Halloween movie was received and learn what critics thought worked and what they found less-than-enjoyable before they started planning a follow-up. "We were going to shoot two of them back-to-back. Then we were like, 'Well, let's not get ahead of ourselves,'" McBride told Entertainment Weekly in June 2018. "This could come out, and everyone could hate us, and we'd never work again. So, let's not have to sit around for a year while we wait for another movie to come out that we know people aren't going to like. So, we were like, 'Let's learn from this, and see what works, and what doesn't.'" Even then, McBride mentioned that he, Green, and Fradley had a few ideas about where they would take the franchise — and McBride reiterated this in early October. "David and I definitely had some ideas at the beginning of this of what we would do if there was an appetite for it," he said in a separate EW interview. "We have some ideas, so now we're just sort of exploring them to see if they have enough legs to kind of warrant it. I know that Jason Blum [Halloween producer and founder of Blumhouse Productions], I bet you he'd be stoked to make some more. [But] I think he's been on the same mindset we've been of, 'Let's just wait and see what people think.'" This all begs an obvious question: If the trio already have had ideas swirling around in their brains for a while now, what in the world are they going to do with the inevitable Halloween sequel? 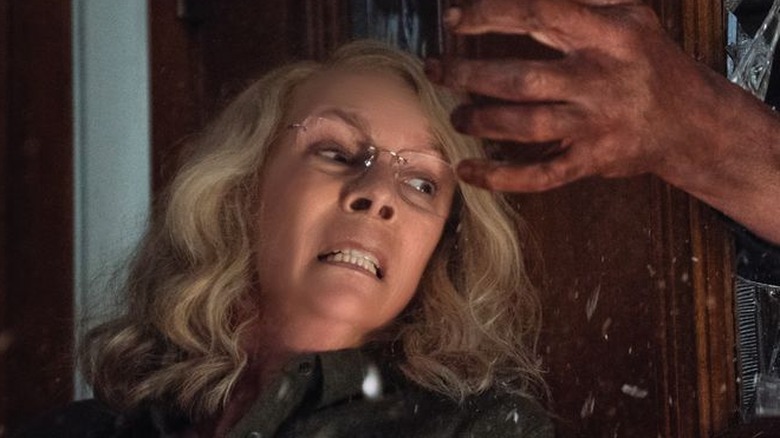 And how exactly will the masked murderer Michael Myers return if his sister, Jamie Lee Curtis' Laurie Strode, finally vanquished him at the end of the film? Those who stuck around for the credits of this year's entry actually heard the sound of Michael breathing, which suggests that Laurie didn't fully kill him (franchise fans have heard that one time and time again) and that he'll live to see another day. The Halloween sequel could pick up right where this one left off, with Laurie, her daughter Karen (Judy Greer), and her granddaughter Allyson (Andi Matichak) fighting the crazed killer once more. Going that route would somewhat undermine the triumph Laurie experienced at the end of Halloween and would completely erase the small bit of closure she got, but one very important person doesn't seem too concerned about Laurie having to battle her brother again. Curtis herself recently told Empire Magazine Australia (via Bloody Disgusting) that she would definitely do another Halloween movie, so long as Green was in the director's seat. "If David Gordon Green called me up and said, 'Let's do another Halloween,' I would do another Halloween," the actress said. "Because he did such a beautiful job creating this movie." With Halloween shattering records and winning over viewers left and right, it wouldn't be surprising if Universal and Blumhouse make a big announcement about a sequel movie while hype is still high.